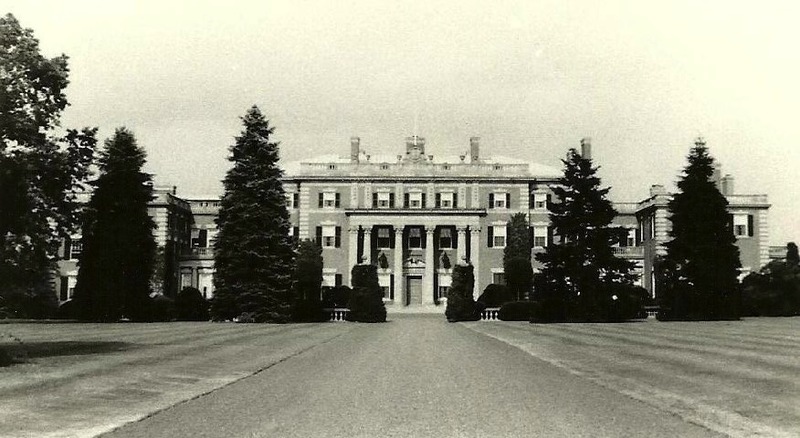 Some additional exteriors of 'Florham', the Hamilton McKeon and Florence Adele Vanderbilt Twombly estate designed by McKim, Mead & White between 1894-1897 in Convent Station, New Jersey. All photos taken by Johnston Stewart and courtesy of Old Grey Dog. 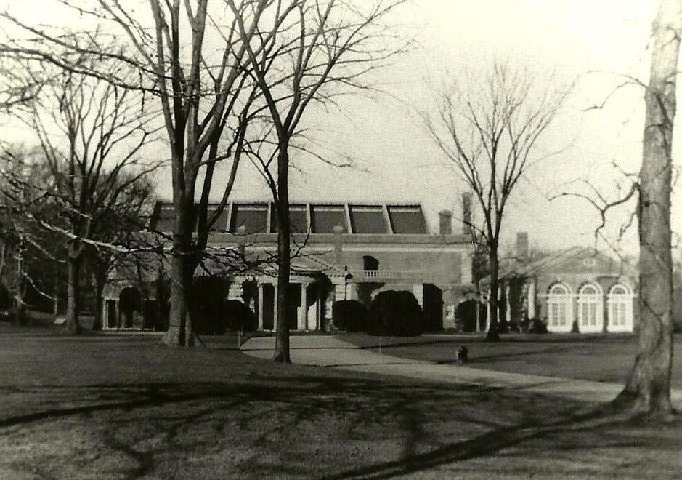 Click HERE to see the grounds of Florham as they look today. 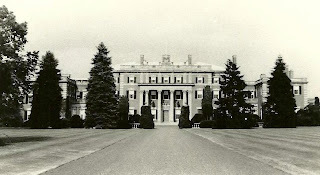 Click HERE to see Fairleigh Dickinson's Vanderbilt Twombly Estate Collection of photographs. Above, May 1942. Above and below, June 1941. Below, the playhouse designed by Whitney Warren of Warren & Wetmore. Photo taken in March, 1936. Looking at these wonderful photos, and at the Fairleigh Dickinson photos, I am interested to realize how carefully McKim Mead & White borrowed from English baroque and Georgian precedents to make this house as authentically 'English' as possible for Twombly. It certainly must be the first full blown attempt at such a house in America, even as the Victorian age was still in grip on much of the country. Today, we tend to look at it with eyes toward what followed it, and the greater refinement of ideas that were yet to come, rather than seeing it as what it is---the trailblazer. Ditto what he said. Would never know this was designed in the late 19th century and not the 1920's. 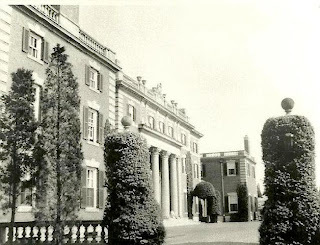 Wonderful photos from OGD and the property was still immaculately kept into the early 1940's. The now demolished playhouse, featured on the link from one of yesterday's posts was also a beautiful structure. The first photo of the home taken front and center featuring a mature landscaping and a well groomed expansive lawn is just spectacular. 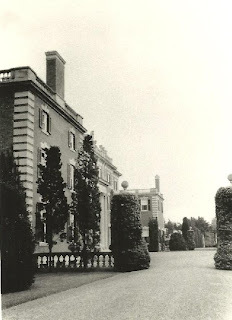 It is interesting to note that the Twombly ladies, daughter Florence Twombly Burden included, were devoted Francophiles ~ the house definetly English, as Dilletante and Archibuff expertly described ! Trips to Paris were almost yearly events, as remarked by chef Joseph Donon, who went as well. 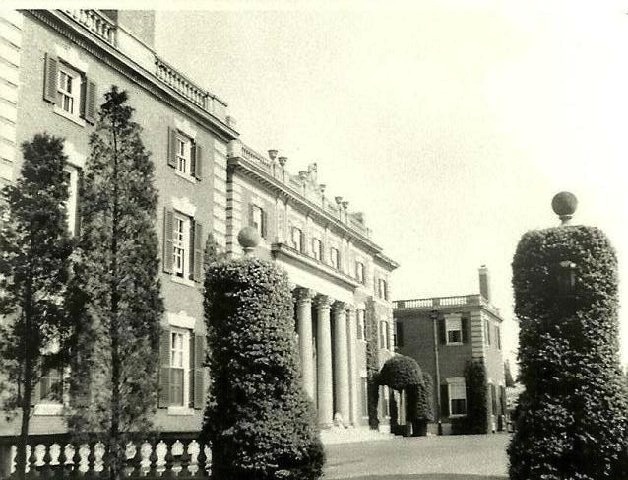 Mrs. Twombly and Ruth made the Ritz Hotel their headquarters; the Donons, taking their own automobile, would travel the countryside ~ with expenses paid by the employer ! Definition: A French bistro favorite !